Where does the dust come from? As you would be aware dust can be a problem in almost any industry. The hazards of dusts like silica and wood are well recognised, and HSE produces specific guidance for these dusts, but there are many more substances that generate dusts which are hazardous to health. Many activities can create dust, such as weighing loose powders, cutting, milling, grinding, sanding down and clearing up spillages. What Problems does the dust cause? Dust can cause health problems through inhalation, skin contact, eye contact and ingestion. Exposure to any dust in excessive amounts can create respiratory problems. Dust particles that are small enough to be breathed into the lungs are called ‘respirable dusts’, these dusts can build up in the air spaces in the lungs and can lead to lung damage. 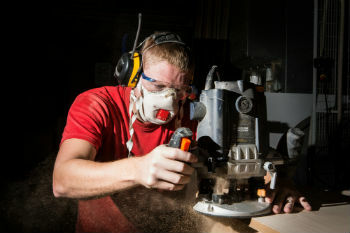 Exposure to hardwood dust can cause adenocarcinoma of the nose and paranasal sinuses. Some dusts can cause ulceration of the skin and irritation or skin sensitisation can be caused by dusts such as epoxy resins, rubber processing chemicals, wood dust and fibreglass and can lead to dermatitis. Dust particles produced during the cutting, grinding and drilling of materials can cause eye damage/irritation, and some dusts may cause eye damage/irritation due to their chemical nature. Some inhaled dusts can become trapped in the mucus that lines the respiratory tract. Inhaled dusts can get into the digestive tract, alternatively they can enter the bloodstream and produce effects in other organs and tissues. Wood dust can cause serious health problems, such as asthma, which carpenters and joiners are four times more likely to get compared with other UK workers. What solutions can you use to combat dust in workshops? 1. Dust Extraction- this is one solution to combat dust. For example, providing dust extraction at woodworking machines to capture and remove dust before it can spread. When designing the extraction system you need to take into account, the number and type of machines to be connected to it, the layout of the workshop or factory and the information on air flow. Its important to never sweep up or use compressed air lines as this will disturb the dust and allow it to become inhaled. Always clean up using a suitable industrial vacuum cleaner that at least meets the Class M classification. 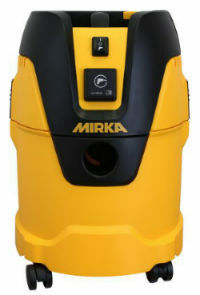 Check out our range below of dust extraction machines. 2. Dust lamps- Dust lamps help to show whether wood dust exposure is being controlled. 3. Wear PPE- The Control of substances Hazardous to Health (COSHH) Regulations 2002, requires employers to protect themselves and their employees from dust. *Exclusive online prices. Offer starts 1st November 2018 and ends 30th November 2018. For those tough and demanding sanding applications. Superb dust extraction allows for non-clogging of mesh and along with that, improved finishing. 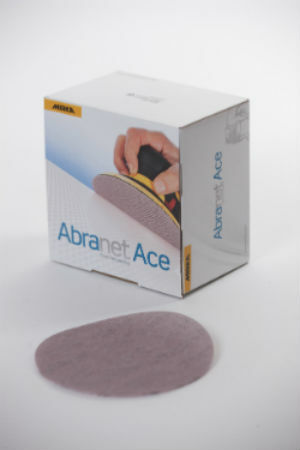 "Abranet Promise of Dust-free perfection. 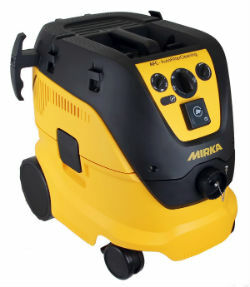 Net sanding solution with Abranet is a way to protect workers’ lungs from dangerous sanding dust, and this sanding solution also makes work easier, more fun and more efficient.” Mirka. Check out Mirka Abranet Ace Discs here. 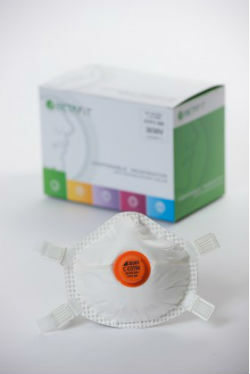 Protect yourself against fine dust with our respirators. The above blog is only suggestions to consider when faced with dust issues in workshops and factories. You should contact authorised health & safety professionals before taking any action. Adkwik t/as Adkwik Ltd takes no responsibilities for the actions you take regarding dust or related issues- see our t&c’s.